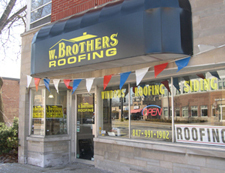 Satisfied roofing customers from Algonquin, Carpentersville, Crystal Lake, Elgin, Huntley, Lake In The Hills, Marengo, Sleepy Hollow, South Elgin, Union, and West Dundee Illinois. We've included the shingle manufacture's name, shingle style and color for each home that we've had the pleasure of roofing in Algonquin, Carpentersville, Crystal Lake, Elgin, Huntley, Lake In The Hills, Marengo, Sleepy Hollow, South Elgin, Union, West Dundee. 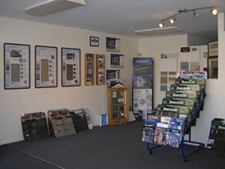 This will help you to choose the shingle colors and styles that best match your neighborhood. WEATHERED WOOD 3220 BANFORD CIR. We offer GAF Timberline HD™ Shingles with LTD Lifetime Warranty!